You have just grabbed a new Galaxy S10/S10 Plus phone, but its battery isn’t lasting as long as you expect, so not worry, we are here to help you. In this post, we’ll show you some helpful tips, tricks to fix poor battery problem on your Galaxy S10/S10 Plus. These methods can also be applied for Galaxy S10 SE. 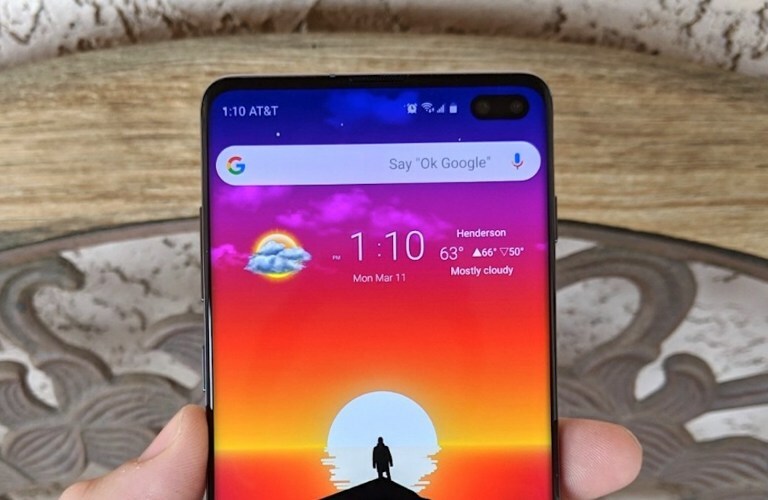 With a big 3,400 mAh battery in the Galaxy S10 and a huge 4,100 mAh battery in the Galaxy S10+, Samsung claimed that users could get an “all-day battery” life. However, some Galaxy users still complain about the battery life. Here are some settings, and tips to make your Galaxy S10’s battery last as long as possible. The first thing you should do is to check for apps using too much battery or misbehaving. There is a chance that it’s a software incompatibility, or a glitch, which can happen often. If you are encountering a bad battery life issue, you should keep an eye on background apps. Just look at the little orange circle on the settings button. If you use an app too much, it will drain your battery fast. Widgets are also the main reason. At the same time, an app could use an abnormal amount, which leads to a problem. These could be stock apps or the ones you downloaded from the Play Store. They are usually Facebook, Snapchat, or stock Oculus VR app. If the average use is only 6 hours of “screen-on time,” something goes wrong. Navigate to Settings > Device Maintenance > Battery > Battery Usage and check what’s going on. From there, you will see the screen or display at the top, along with the Android System. If you see something else at the top, it’s bad. So, you need to uninstall the app and then reboot your phone. After that, check and see what is going on. This next tip might be silly, but you might be amazed at this tip since a simple reboot could improve the battery life of your phone. Additionally, you should reboot the phone if the battery is draining too fast. On Galaxy S10, Galaxy comes with a setting that will automatically reboot your phone once a week. To enable it, just head to Settings > Device Care > tap on the 3-dot icon > and enable Auto restart. You can select the day of the week, the time or set other things. Restarting your phone weekly can help you optimize performance as well as give a fresh start. Simply press and hold the Power and drag the slider on the screen. It’s the easiest way to enhance battery life. Although most Galaxy users love Always-On display feature, disabling it can improve battery life. According to Samsung, the always-on display only eats up 5% battery during a working day, but if you are looking for every advantage possible, you should toggle it off. Simply go to Settings > Lock screen and you should disable the Always-On display feature. The new One UI based on Android 9 Pie come with a powerful Dark Mode working throughout the software experience. If you want to increase 1-2 hour battery life on your Galaxy S10, you should enable Night mode. To activate it, head to Settings > Display > Night mode and give it a try. As we mentioned, Galaxy S10 has a ton of software features. Some of them are pretty helpful, but the other waste battery without any reason that you never use. These features can be the Edge Panel, Edge Lighting, or other gestures. Simply go to Settings > Advanced Features turn unnecessary things off. We recommend you to disable Smart Capture, Palm Swipe Capture, and others. They use up battery and sensors inside your Galaxy S10. Many of your know Wi-Fi could help your phone last longer, but there are still ones that don’t know that either. If you are at home, you should connect to your home Wi-Fi instead of using mobile data. It can bring a significant difference in how long your phone battery life can last, especially at night. Some apps and games require GPS for working, but it could improve battery life if the GPS is off. Navigate to Settings > Privacy & safety > Location, select “Battery Saver” or the Wi-Fi and Mobile networks option. Samsung Galaxy S10 has a powerful battery optimization system. In addition, Google has also added a lot of tweaks in Android 9 Pie version. Combining all of them, the Galaxy S10 will have great battery life. But, if you’re encountering problems or want it to be better, you can use the battery saver mode, power saving mode, which is pre-installed on your Galaxy S10. Go to Settings > Device Care > Battery and you will find Power modes. The screen brightness and resolution or even the processor will be changed or slowed down to improve battery life. At the bottom, you can find the new Adaptive power saving feature that can automatically adjust things like battery and performance based on your usage. You should try both of them if you are facing problems. Another thing you should consider is Bixby assistant, Samsung’s virtual assistant. If you do not usually use listening wake commands, we recommend you to completely disable Bixby. Last but not least is the Airplane mode trick. When you don’t want to receive calls, texts, simply activate Airplane mode. It will disable all data, radios, and other services. Most phones can last 4-5 days for use once this feature is enabled. You can still enable airplane mode while charging your phone too, to make the speed faster. If you’re traveling, you should give it a try. 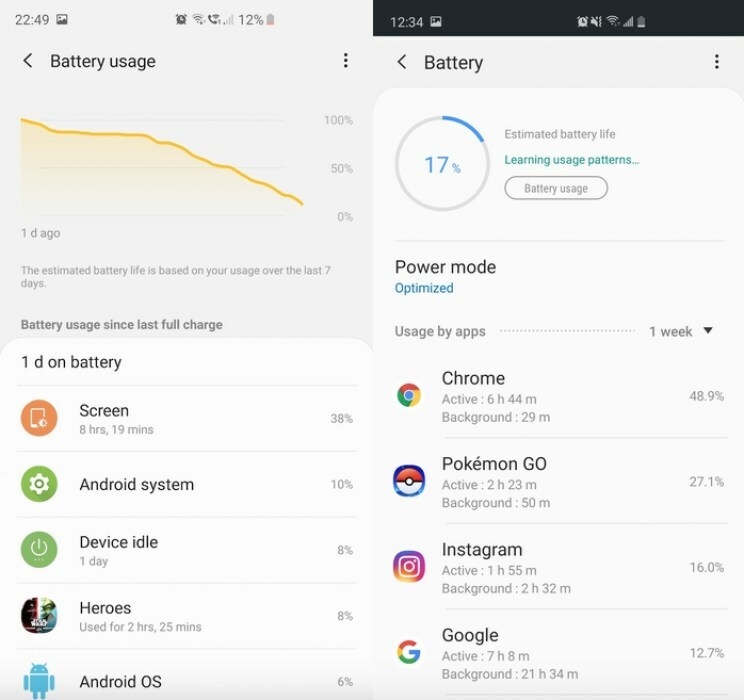 These are helpful solutions, tips & tricks you should try to improve the battery life of your Galaxy S10. If you have any question, let’s know in the comment.